Does card:Creakwood Leige give it's token +2/+2 or +1/+1? At the beginning of your upkeep, you may put a 1/1 black and green Worm creature token onto the battlefield. so Squee, the Immortal and Eternal Scourge help combo with food chain because they can be played from exile. Slimefoot, the Stowaway is more of an experimental add,but i like him because his ability cost mana versus just creating a token at your upkeep. once upon a time i had both From Beyond and Creakwood Liege in the deck, but they both turned out to be 1 mana too expensive. and Ulamog, the Infinite Gyre is the antimill card of the deck, because he forces you to shuffle your graveyard into your library. I see you have a mix of recursion and tokens in here. 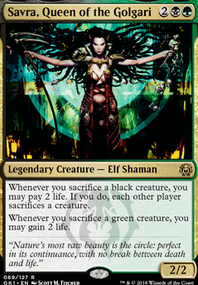 Given you have Parallel Lives and Doubling Season , I think it would be better to focus on tokens instead of the recursion like Squee, the Immortal or Eternal Scourge since they tend to be more mana intensive as well. Slimefoot, the Stowaway is pretty mana intensive for token gen. Is there a reason for choosing that over things like Creakwood Liege or From Beyond ? They might fall off late game, but it's frees up a lot of mana. 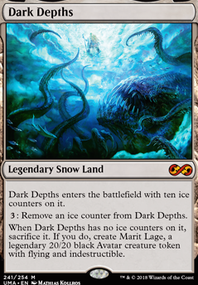 Also why Ulamog, the Infinite Gyre ? It's a good card but I don't really see it working with anything aside from Ashnod's Altar and maybe Awakening Zone . Beastmaster Ascension - attack with prossh and 6 kobolds and they all get buffed. Dictate of Erebos can visually be cast quicker in a three color deck before grave pact. Journey to Eternity Flip - some of the best budget recursion. Pattern of Rebirth - can be used to get a combo piece like blood artist, or to get some board changer. Champion of Lambholt - let's you make your creature almost unblockable. 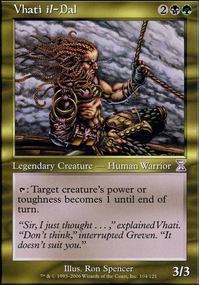 Brawn and Anger are good especially in decks with built in ways to get into grave yard. Diabolic Intent has dropped in price since reprint, it's good on token decks and cheaper than the main 2 tutors. Primal Vigor is a viable doubling season, but only cast when ready to combo. 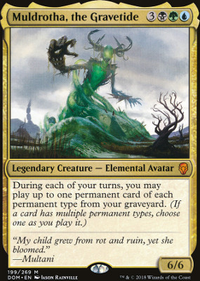 Phyrexian Altar has dropped to like $18, not budget but half of what it was. But Pitiless Plunderer will also work with prossh in play. Creakwood Liege - buffs commander and makes tokens. Smothering Abomination - good card draw in any black token deck. 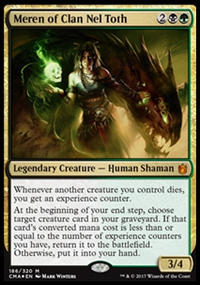 Sidisi, Undead Vizier easily recurable tutor. Not really sure what to suggest, Golgari isn't really my thing. Deadbridge Chant/Journey to Eternity Flip: These are cards that from my experience are good recursion (especially since Chant can hit anything). Sepulchral Primordial: This is a good card to pull the best creatures out of everyone's graveyard. Creakwood Liege/Mycoloth: These can help with the token strategy, and Liege can help buff your tokens. I hope that I could be of some help! Mj3913 on By the Horror! They're Infected! 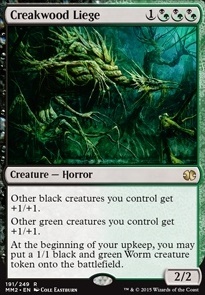 DrukenReaps: You have a point, I'd like to fight the case of Creakwood Liege though, given that a majority of the creatures with Infect are Black or Green. Also the 3/3 tokens are good chumps, trades via Hell's Caretaker, and if they build up Triumph of the Hordes gives them all infect. Agreed about the others being more "neat" than anything now that I look at it. 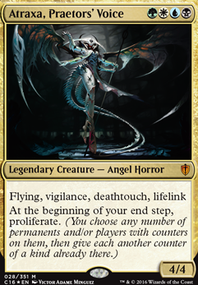 I doubt really have enough WB spells for Deathbringer Liege, a ciphered creature can be removed, the other is kinda situational, and the hard to cast Obliterator. May need an extra removal spell in place of the other, but we'll see. Thanks for the suggestions. TheAmazingSteve: I did think of that, and I had a few more sac outlets when I was considering a mill package, but yes, it seems a bandaid unless you can sac and repeat. Thanks for the suggestion.